Hey, guys! It’s fraction time in my classroom, and it has been a little hectic! I feel there are so many skills to teach and not enough time before standardized testing to get it all in. In other words, I’m stressed! How about you? Here’s a resource based on the discovery bottle idea that my students have been doing. I tried the discovery bottle thing, and they were spending so much time trying to find the fractions. I was even having to shake their bottles to find them – Ain’t nobody got time for that! So, I dumped the contents into some Tupperware containers a parent had given me, and it’s worked a lot better, although it does add a little bit more mess to the activity. But learning is messy, right? 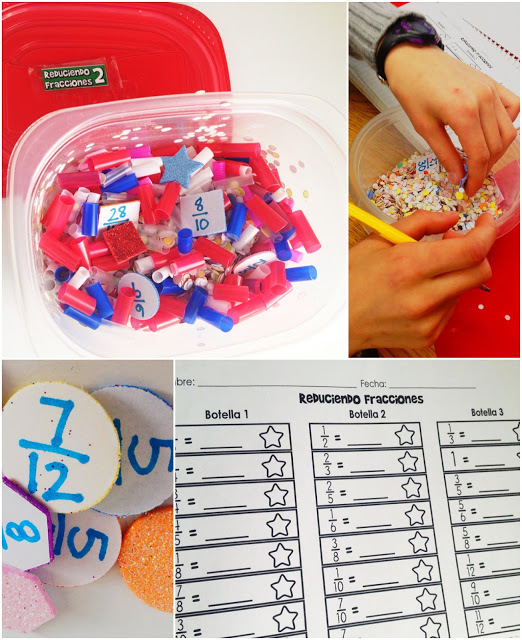 This resource contains three different activities for reducing fractions, changing improper fractions to mixed numbers, and changing fractions to decimals. 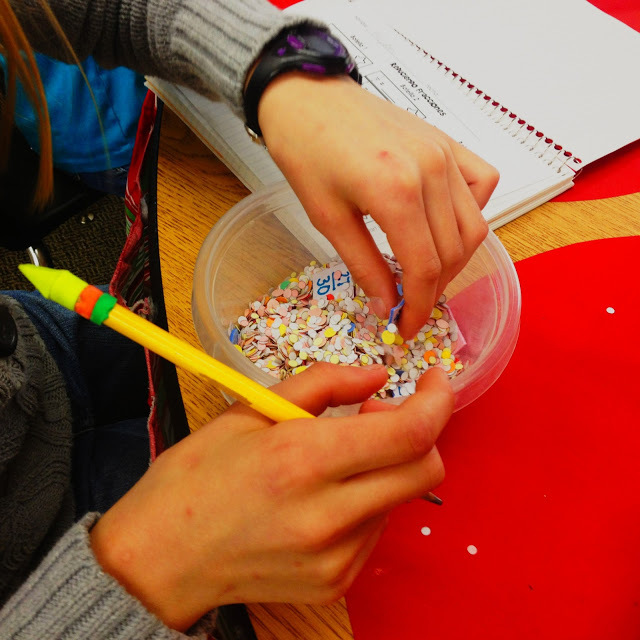 Using the answers from the answer key sheets, write down fractions on your “treasure.” I used foam stickers. 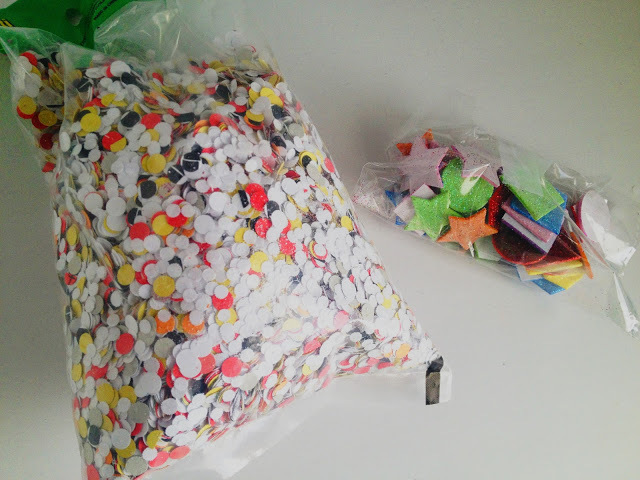 Fill plastic bottles or boxes with your filler and treasure. Eight treasures go into each container and there should be three containers for each group. Print out recording sheets and answer keys. Students search for a treasure inside container 1, 2 or 3. If they are doing the “reducing” activity, they reduce the fraction and search for the reduced fraction on their recording sheet. If it is “improper to mixed,” they change the fraction to a mixed number. If it is “fractions to decimals,” they change the fraction to a decimal. When they find the answer on the recording sheet, they write the fraction on the treasure piece by the answer. After they find all the treasure in one container, they go on to the next. After they find and solve the problems on the treasure pieces for all three containers, they check their answers with the answer key. 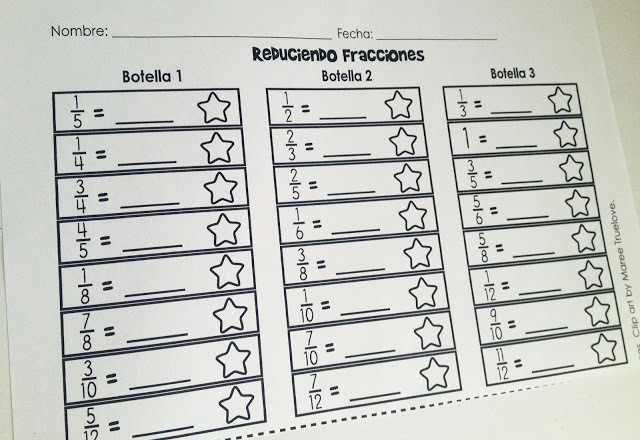 If they are correct, they color in the star for each correct answer. If they are not correct, they do not color the star. Now you have an easy way to spot-check their accuracy. To download this activity, click here. 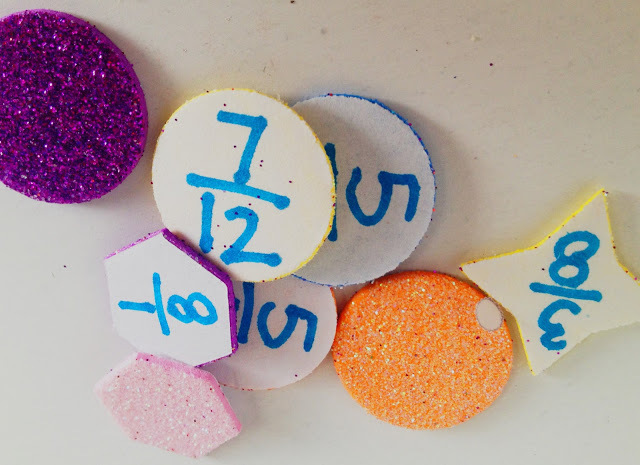 If you have any cool activities for teaching fractions, please share! You totally cracked me up with "Ain't nobody got time for that!". That aside, I'm feeling the same way!!! Stress here, too — and for the same reasons. 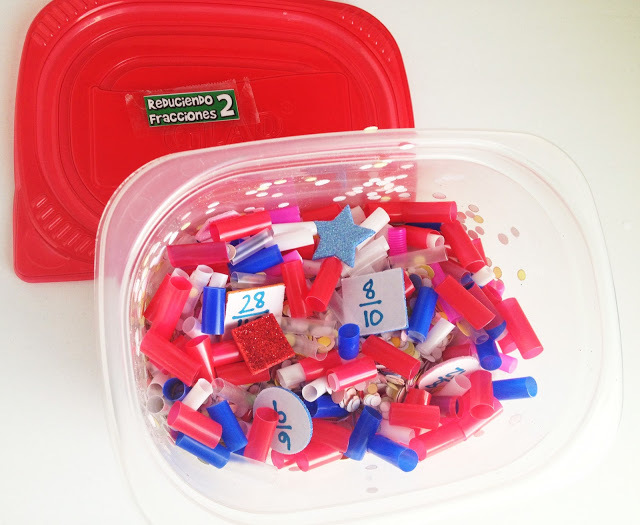 This looks like a really cute, extremely messy, activity that kids will love! Great idea! Tabitha, I love this idea! Thanks for sharing!